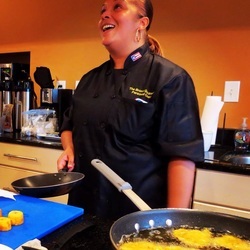 Cooking lessons & demonstrations are available to assist you in conquering your fears of the kitchen. I've had many clients ask me about this and I've decided to offer my help. I can have you preparing easy, healthy meals for your family in just 30 minutes. Lessons can be done in the afternoons, evenings and weekends. I work around your schedule so there's never an inconvenient moment to begin your culinary journey. 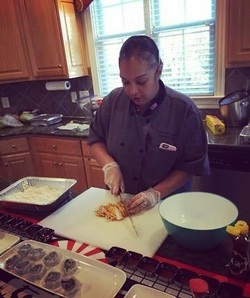 Contact Chef Noemi today at 757-296-3455 or email at bronxgourmet@yahoo.com!